It is recommended that if you are considering filing for bankruptcy protection in Arizona, you first consult with an attorney experienced in Arizona Bankruptcy Law. An attorney can help your determine if you qualify for a bankruptcy, which bankruptcy is best for your financial situation, and asses your financial profile and assets in order to help you make some big decisions about your financial future. Besides, the bankruptcy process is complicated, and an attorney will help you navigate through it ( procedures, documents, court appearances…) from beginning to end. 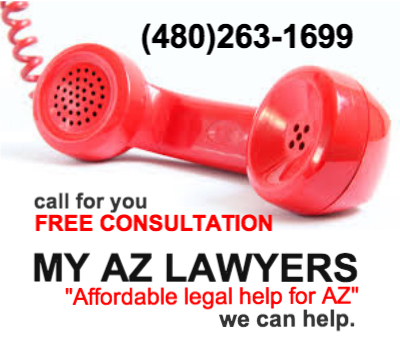 Contact My AZ Lawyers if you wish to discuss your debt relief options. Arizona residents: If you have lived in Arizona for at least 91 of the past 180 days (six months), you can file at one of the Arizona District Bankruptcy Courts. If you’ve moved to Arizona recently, you may have to file at the court that served your old zip code. 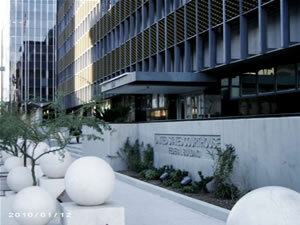 All of Maricopa County and the 85201 zip code are in the jurisdiction of the Arizona District Bankruptcy Court.